Another great turnout of volunteers on Saturday afternoon. Thanks to everyone involved – especially Barrie. Having been painting all week, he smiled bravely as he led us by example; Andrea for an endless supply of refreshments; Gwen for walking the dogs again – saves hairs on the gloss finish! The inside suddenly appeared beautifully coated in gloss cream (not Magnolia, Steve!). A quick cuppa and Hoi Larntan was turned over. 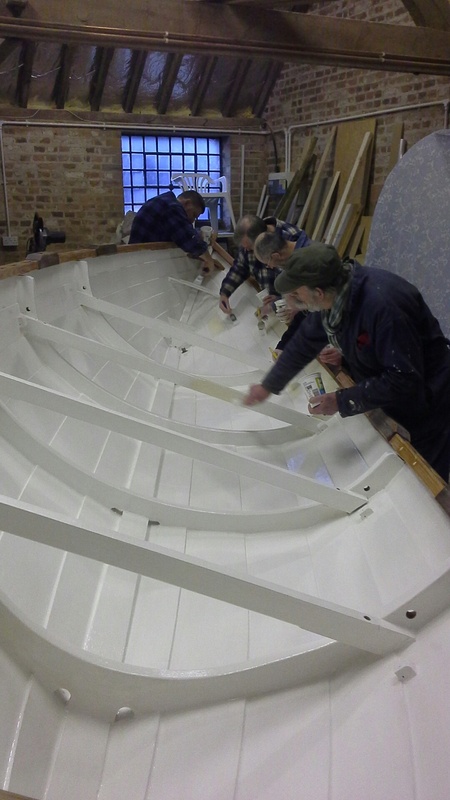 With four each side, the speed of the brush deceives the eye – the whole hull primed and undercoated by 4 o’clock. A great afternoon’s work. Well done all. Another good turnout of industrious volunteers at the workshop on Saturday. Must be the lure of Andrea’s tea, coffee and biscuits. Gwen added to the feast with chocolate goodies before assisting by taking the dogs out of the way and giving them a good walk! Hoi Larntan’s interior was further sanded and cleaned out before the tea break. Then multiple pots of paint and brushes passed down the line. 45 minutes later and a good coating of undercoat made the skiff gleam again. While all this was going on, the repaired oar was treated to the beginnings of the CRAB yellow and blue livery. Thanks to all who worked so hard. 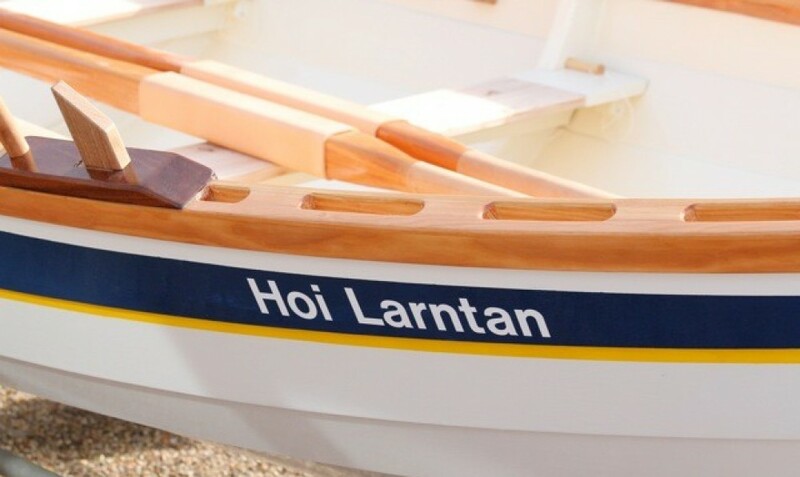 After some twenty months of constant use our first skiff Hoi Larntan is in dry dock for a check-over and spruce-up. She really has survived remarkably well – a testament to Iain Oughted’s design, Alec Jordan’s kit and, of course our meticulous build! 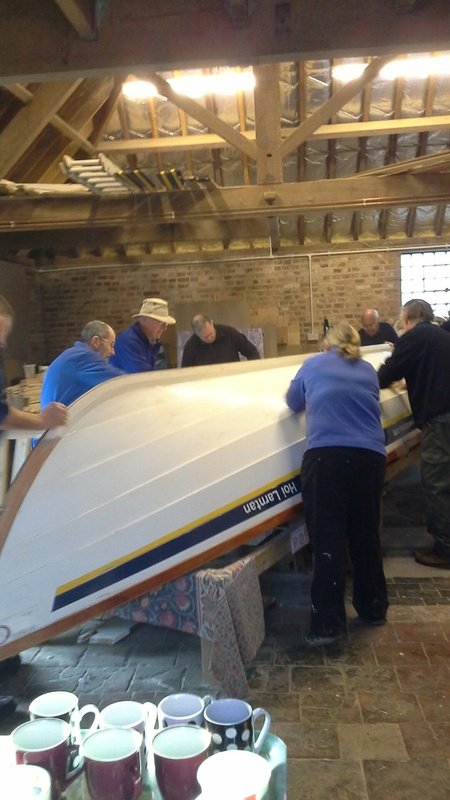 Many hands make light work and the hull exterior was soon sanded back. A quick stop for Andrea’s delicious tea and biscuits then flip the boat over and set to on the interior. A great afternoon’s work and chance for a chat to start the new year. Thanks to all who came to give a hand. Same time (13:30) same place (Barrie’s workshop, Bayfield Brecks) next Saturday 17 January, please. See you all there. 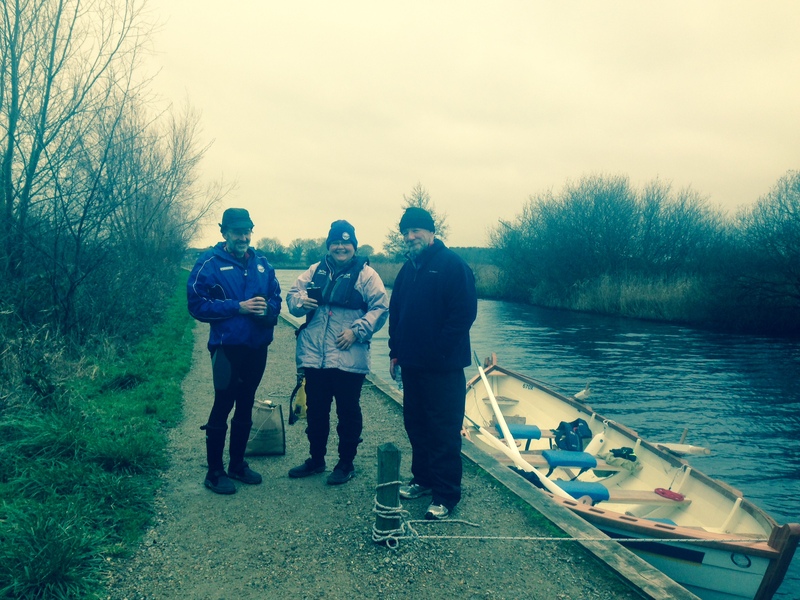 Not only did Andrea ply us with tea and sustenance but she took the photos too! Thanks. The show goes on – despite damaged oars – Barton still tempts us. It may be a contrast to the sunshine on the previous post, but has that ever deterrred us? 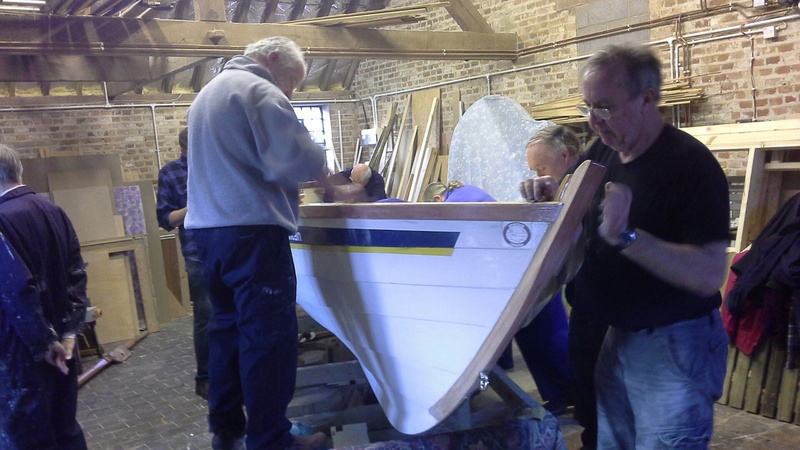 Work starts on Hoi Larntan at Barrie’s workshop (Bayfield Brecks) 2 p.m. this coming Saturday, 10 January. Good company, tea and biscuits guaranteed. You could even get a chance to take a turn at sanding down the hull. What more temptation do you need? We should have a go at sticking Bluejacket’s oar back together again too.